Tibu stool offers an extremely clean, essential, stylized design: the circular seat and footrest combine to form a single shape, echoed and reflected by the base and column below. 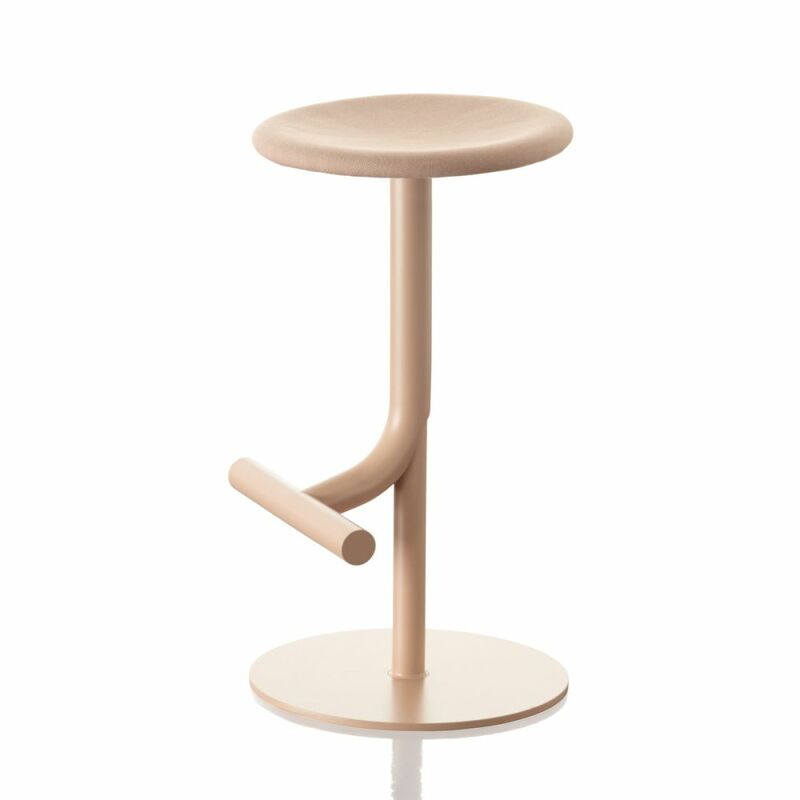 The entire stool is in a single colour, but the materials used for the different parts vary according to their function: from the steel frame painted in polyester powder, to the polyurethane seat, also available with a high-quality Kvadrat fabric covering. Tibu is available with height-adjustment mechanism, or in two fixed heights, and comes in a vast range of colours, to match any taste and setting, at home or in the contract world. Anderssen & Voll was set up in 2009. Their work spans from textile design through tableware, lighting and furniture to electronics for some of Europe’s most renowned international brands. They have been absolute key in proposing what is known as “New Nordic” and their work also resonates well with Italian brands such as Magis. Working with the strongly contrasting industrial cultures is a continous source of inspiration, as are the liberating possibilities of large-scale industrial thinking.to keep finding new perspectives and challenges.